Breakfast and lunch are free or reduced cost with an approved free or reduced price application. HANDMADE PIZZA available every day! We are off to a great year and just want to let you all know about the à la carte items in the OMS Cafeteria. We have a variety of things that cost beyond the regular breakfast and lunch prices. Students may not charge these items but they can be purchased from your children's lunch accounts or with cash they bring in. If they owe money to the cafeteria, they are not allowed to purchase these items until the account is paid. If you do not want your child to purchase these items or want to limit what they can spend, please feel free to e-mail me or call me at OMS. 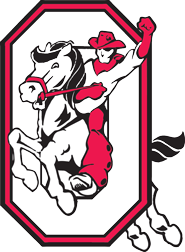 Copyright © Orrville City Schools. All Rights Reserved.